Order picking is usually the selection of one or more product lines going to a specific customer or destination, which has been purchased in a single lot at one time, or more often as a combined order with additional items. It is therefore one of the most labour intensive functions in many warehouses, but with the correct picking technologies and modular hardware, non-value adding tasks inherent in this process can be reduced considerably. 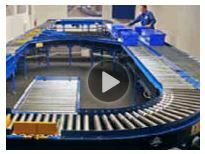 With the correct automation, Conveyor Units can help you develop fast, accurate and cost-efficient order fulfilment strategies for different products and order profiles, reducing your transaction costs and giving you a competitive advantage over other suppliers. 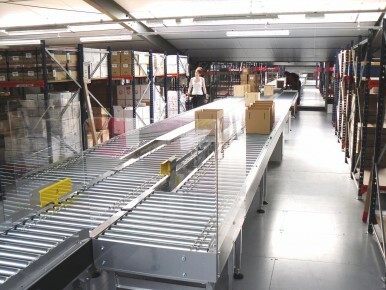 When one of the UK’s leading wholesalers of business and office supply products were recently looking to invest in a new order picking system, Conveyor Units supplied in excess of 1Km of standard belt and roller conveyor modules. These were for totes and cartons which are routed around a zoned system to enable precise order picking. Completed orders are then checked and scanned and finally routed through a sortation carousel system which was site tested at 3250 products per hour.